Spring, Texas – July 2, 2018 (Montgomery County Precinct 3 Constables Office): Yesterday, July 1 at 8:20 PM a car purposely rear-ended a citizen’s car in the Imperial Oaks subdivision to make them stop. When the citizen exited their vehicle a black male ran up and slapped the citizen’s cell phone out of their hand. The male then jumped in the citizen’s car and took off. No weapon was displayed or used. A radio broadcast was issued to surrounding units. Police were able to locate the vehicle. 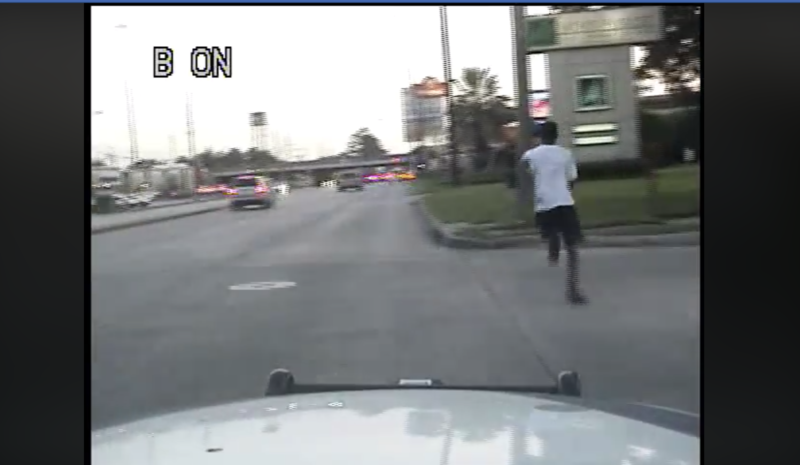 As soon as the police car got behind the vehicle, the suspect bailed and took off running. We are asking for your help to identify the suspect in the video. If you have any information please contact Montgomery County Pct. 3 Constable or Montgomery County Crime Stoppers 1-800-392-7867(STOP) Crime Stoppers will pay for information leading to the arrest of the individual.